Oh MY God! Is Tracy Morgan Really Dead? 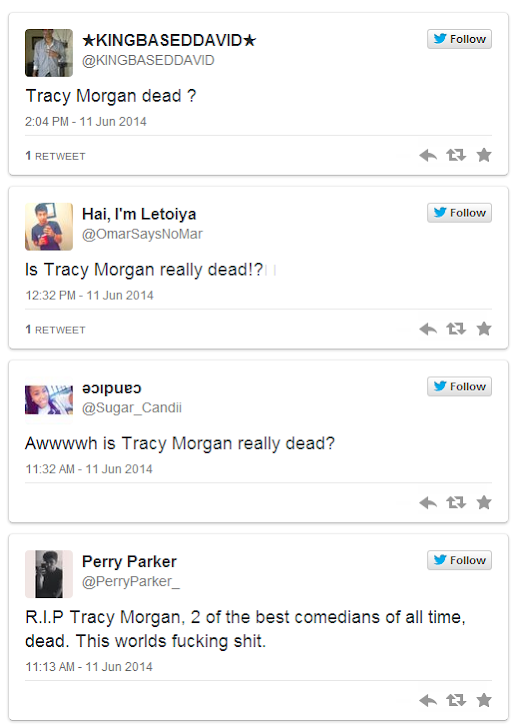 NO, Thankfully it’s only a hoax, but scammers announced the popular comedian and actor Tracy Morgan dead. Another Facebook scam is circulating across the social networking website just a day before the former “Saturday Night Live” and “30 Rock” star Tracy Morgan was critically hurt in a six-vehicle fatal accident on the New Jersey Turnpike that killed his friend and writer 62-year-old James McNair. With the rise in various scams on the popular social networking giant, Facebook that has more than one billion active users, it became very clear that not only does the social networking platform provide special opportunities for people to connect and share information, but serves as a great platform for scammers as well. 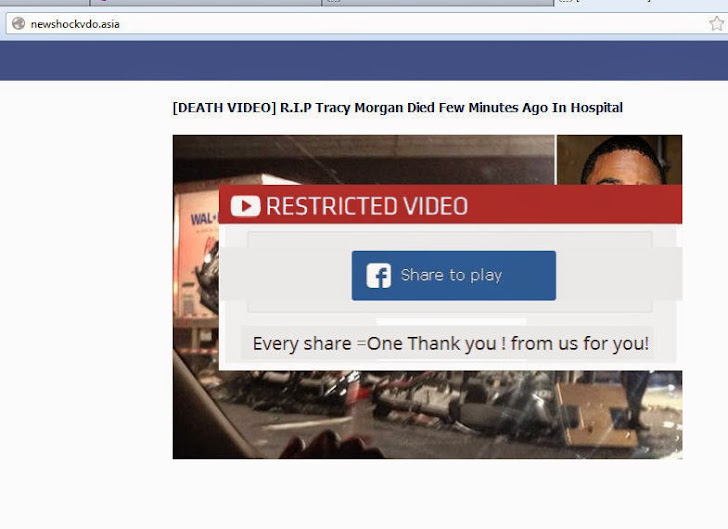 Scammers spare no incident to target as many victims as possible, and this time they made use of this roadway accident to target users by spreading the fake Facebook videos proclaiming the death of Tracy Morgan. 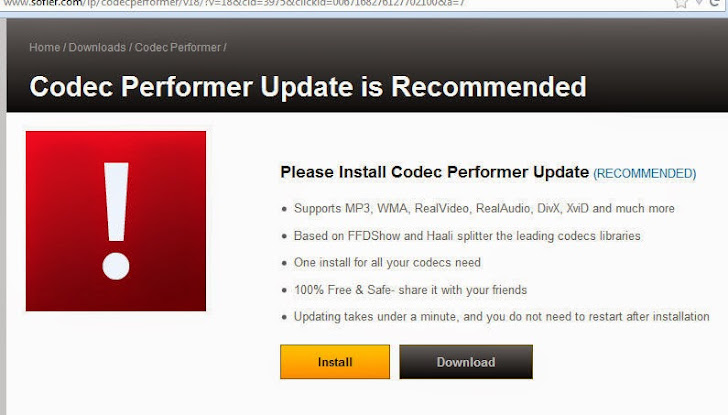 Once clicked, users are directed to share the fake videos and along with the video sharing, the spam leads users to download a file, which could be anything from a Potentially Unwanted Program (PUP) to a malicious software that could steal users’ sensitive or financial information from the infected system. We have seen various suspicious posts on Facebook, like "See your Friend's naked video", an app offering you a chance to see who has viewed your Facebook profile, and many more. Sometimes these scams are very obvious and easily avoidable, but many times they are irresistible and easy to fall for, like this new fake video scam. With more tech skills, modern scammers have ability to reach billions of potential victims with just a single message or post, and their scams are getting more dangerous and critical day-by-day. Despite Facebook's security measures, safe and secured social networking rests in your own hands and if you aren't paying attention to such scams, you could fall for one such even without ever realizing. So, if you are served with any suspicious link or post, do not try to click on it, no matter even if it’s from your closest friend.